Aspirin is recognized for its effects in heart-attack prevention. And several studies “have provided evidence that nonsteroidal anti-inflammatory drugs (NSAIDs), including aspirin, may hold promise in helping to prevent cancer,” according to the National Cancer Institute. 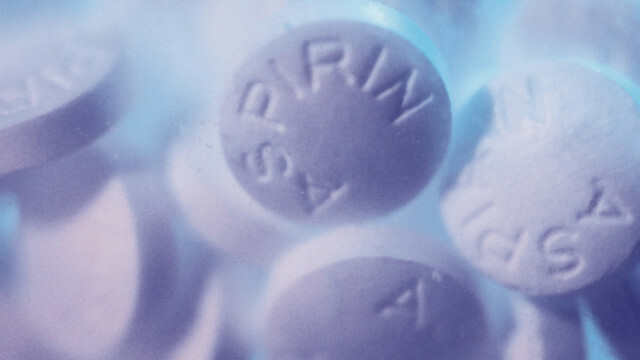 There’s a long history of research on aspirin and cancer, starting in the early 1990s. But can an aspirin a day keep cancer away? It’s not quite that simple, although two studies published in the Lancet and one in Lancet Oncology suggest that aspirin could have some protective effects against cancer. All three studies were conducted by Dr. Peter M. Rothwell and his colleagues at the University of Oxford and John Radcliffe Hospital, Oxford, United Kingdom. In the first study published in the Lancet, the researchers found that the aspirin users had reduced cancer deaths (562 to 664 deaths) and fewer nonvascular deaths (1,021 to 1,173 deaths) – these are causes unrelated to the heart or circulatory system. These findings were based on 34 studies. In 51 trials, aspirin users had lower nonvascular deaths and had reduced in-trial cancer deaths by nearly 40% after about five years. The findings only applied to daily users of aspirin, not studies in which subjects consumed aspirin every other day. In six prevention trials, aspirin users had reduced cancer incidence from three years onward by 324 cases compared with 421 cases in the groups who did not consume aspirin. Eric Jacobs, director of pharmacoepidemiology for the American Cancer Society, said it would take time for the scientific community to evaluate these new findings with existing evidence. Using aspirin to help cancer prevention is not necessarily a new concept; previous studies have shown evidence it is particularly helpful in colorectal cancers. Although daily aspirin has some promising benefits, it can also raise the risk of gastrointestinal bleeding. Before popping aspirin for the sake of cancer prevention, Jacobs warned that a person should consult his or her doctors. “It’s a balance of the overall risk and overall benefits,” he said. The second article published in the Lancet indicated that aspirin could affect how cancer grows and spreads. The authors collected data from five studies totaling 17,285 patients in the United Kingdom. The people in the experiment group took daily aspirin (less than 75 mg). The study found the aspirin reduced risk in cancers in the colon, lung and prostate by 46%, and other cancers, such as those in the bladder and kidney, by 18%. “Allocation to aspirin reduced the incidence of new cancers during the trials,” wrote the researchers. The third study published in Lancet Oncology observed the same effect from aspirin when the authors examined observational studies instead of trials. The results of the observational studies were 38% reduced risk of colorectal cancer among aspirin users. But they wrote that the Rothwell studies didn’t include the trials in which subjects took aspirin every other day. Maby we should start eating willow tree bark and leaves with our salad. Yes, Survivor – that seems like a great idea! Many people (including SMARTMAN below) don't know that aspirin, until it was synthesized, was derived from willow bark. In fact, many of today's natural healers, and certainly healers throughout history, have used willow bark to treat many ailments. Yeah, bark and leaves. Shut up stupid! I assume from the post that the "stupid" that you are asking survivor to make "shut up" goes by the screen name "SMARTMAN". Yeah, SURVIVOR, maybe you should take a big diarrhea in your pants too! @ SMARTMAN......, shouldn't you use the name DUMB@$$?? Look at this study. This aspirin is designed to release nitric oxide so it does not damage the stomach or cause GI bleeding and it releases hydrogen sulfide to destroy cancer. You really need to study H2S (hydrogen sulfide) to realize that it is NOT your friend. H2S oxidizes to H2SO4 (Sulphuric Acid) H2S also impedes the body's use of copper which is your main defense against fungal infection including systemic infection via yeasts such as Candida Albicans. Chanca Piedra works. Graviola works. Nuff said. The FDA doesn't rule the F'n world. Research these items abroad. I know personally these items work. The VA Hospital in Tucson put me on both. The pharmacy carries special Guanabana leafs from Ecuador. The Chanca comes in a large plastic bag. You have to chop the Guanabana leaves up because they come whole. The VA Hospital will not provide capsules or pills. It must be pure and in original form. And also the VA can recommend marijuana also. Google it and shut the F up. I didn't like that closing statement, kind of a "throw away" statement, but with potential implications that could be very significant. Anybody see any studies that address these? Just curious. It seems like hardly a day goes by when more and more evidence and research studies emerge concerning the benefits of a low dosage aspirin regimen. It really is a “tiny pill to swallow” for so many health benefits. It must be the most significant self-defeating discovery I have ever seen. As we all know, our body whatever will have such a strange feeling uncomfortable because of an evil reaction after taking Aspirin. If we did believe that an Aspirin a day can keep cancer away, we would live with that feeling like a patient day and night. Oh, it really scares me to death. Not many people posting here can read thai. Aspirn was found on that alien ship that crashed in Area 51. That's like saying "hey, let's eat coca leaves". just because it's a dreivative doesn't mean you can or should eat it straight from the source. Stupid! Hahahhahahah Survivor, Spucky and Myto-go eat diarrhea! Suggestions like this led me to cancel my donations to cancer research. In the past many years cancer cure and prevention have been rather unsuccessfully pursued. There have been some notable successes but it would seem that cancer cure remains out of reach. And all this time none of these gurus thought of the aspirin? I would suggest the aspirin treatment be shelved. True, there still is no "magic pill" cure, but there have been many discoveries in recent years that allow us to treat cancer patients with drugs that prolong survival and preserve quality of life for many years. This is progress! Taxotere can and DOES cause permanent iharloss which you keep hushed up. You offer this drug for primary breast cancer not too.Why dont you just come clean and inform oncologists about this side effect that you say you dont keep records of? You are supposed to keep this info for as long as the drug is used so why are you acting illegally or lying? Appreciate it for helping out, wonderful information. "The four stages of man are infancy, childhood, adolescence, and obsolescence." by Bruce Barton. Aceste etape sunt foarte importante in crearea unui site, sau daca acesta este deja creat trebuie facute in cayul in care doriti un succes garantat pentru afacerea pe care o detineti. Astfel cu o promovare a continutului web bine facuta va creste substantial numarul persoanelor interesate de serviciile si produsele pe care le oferiti. That is the appropriate weblog for anybody who wants to seek out out about this topic. You realize so much its almost exhausting to argue with you (not that I truly would want…HaHa). You positively put a new spin on a subject thats been written about for years. Nice stuff, simply nice!